A member of the Kirovohrad regional jiu-jitsu Association of Ukraine represented own country at the training camp in Italy. 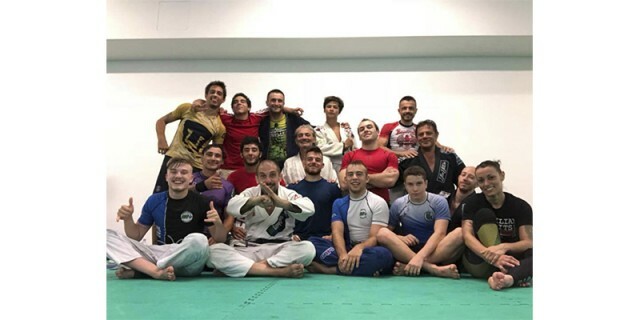 Serhii Maidaniuk became the only representative from Ukraine among 47 athletes from all over the world at the sports camp in Cesenatico city, Italy. Jiu-jitsu fighters from Scotland, Germany, Austria, Serbia, the Netherlands, Portugal, and Brazil were among the participants. After the six-day training course, Serhii Maidaniuk was awarded a blue belt. In addition, the athlete is the current owner of the All-Ukrainian awards, as well as the black belt of the German Jiu-Jitsu system.